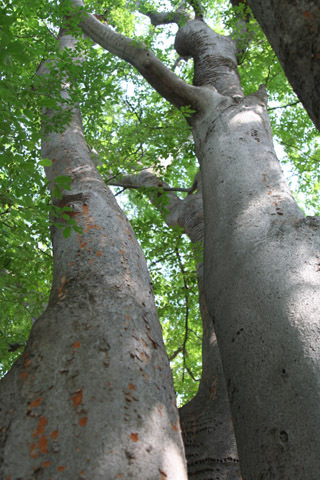 Click on an image thumbnail to go to the tree’s web page. 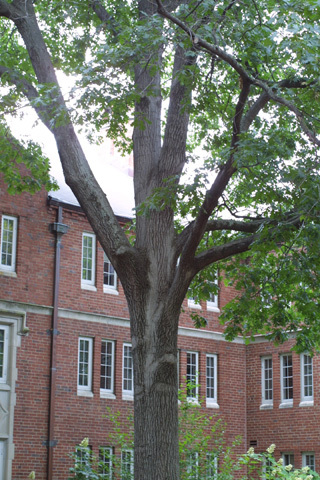 This famous tree is one of the few that is known to predate the campus. It was in the yard of the farmhouse which is the building now known as “Old Main”. It’s located in the greenspace in front of Rand Hall. served as chair of the board of trust for life, and was instrumental in planting many trees on campus after its founding. It’s located near the Owen School and the Law Library. 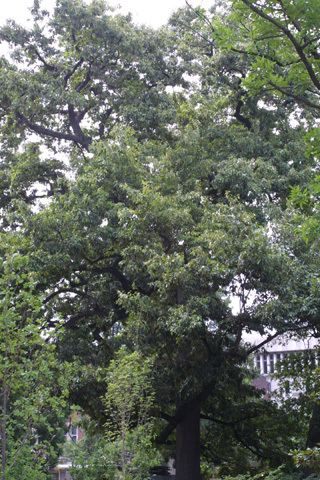 This giant is the only one of its species on campus and was probably planted soon after the university was started in 1873. It stands in front of the Nursing School and is noticed by all who walk from Peabody to Main Campus via the pedestrian bridge. 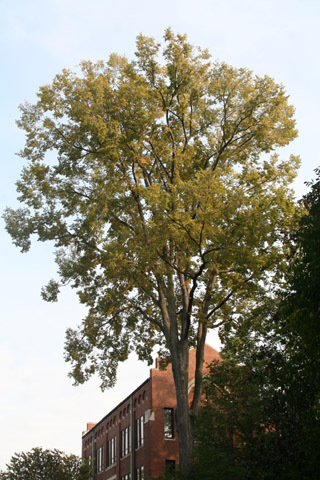 September elms are common only in Tennessee and surrounding states. crew who keep all dead wood trimmed from the elms on campus. It stands between Benson and Garland Halls. 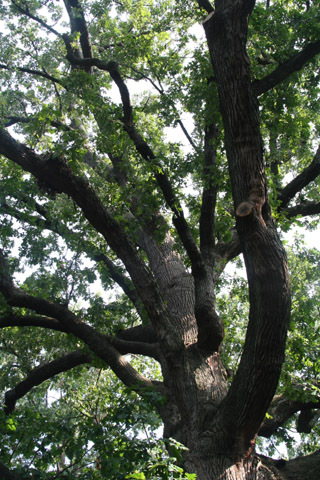 This big Shumard oak is probably the only tree on campus that has a name: “Big Al”. It stands in front of Cole Hall. In late fall, this tree is one of the few places on campus where you can get a free snack. 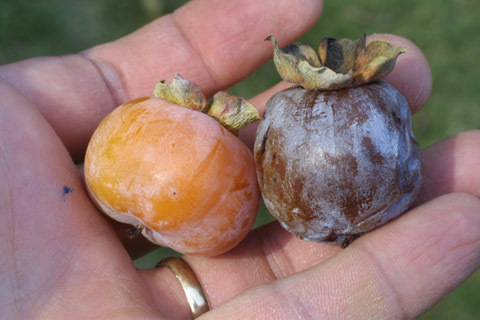 The fruit is a bit seedy, but is tasty plain or made into pudding (wash fruit before partaking!). You can find it in front of Branscomb Quadrangle. Ginkgo is also known as the maidenhair tree for the pattern on its distinctive leaves which turn a beautiful yellow in the fall. It was only known to Europeans as a fossil until they found it on temple grounds in Asia. early 1900’s. However, this big fellow is probably not (as the book says) the progenitor of many area ginkgoes because it’s a male! It’s late spring and you are wondering, “What’s that awful smell?” Is it vomit? 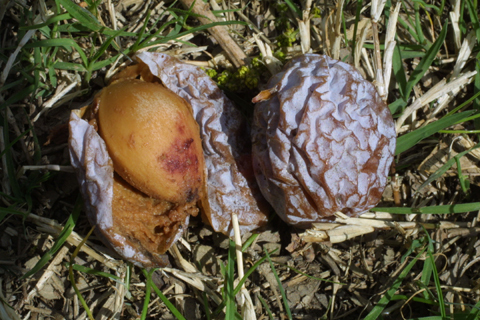 No, it’s the strange cones of the female cones of the ginkgo squashed on the ground below the tree. 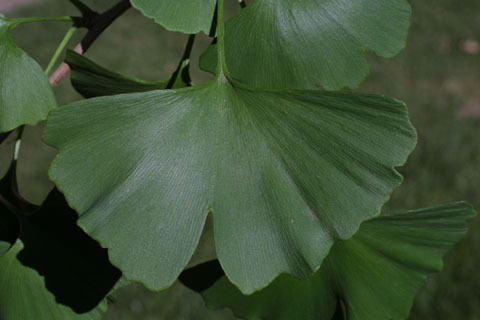 When most homeowners discover that their ginkgo has grown up to be a stinky female, they cut it down. That’s why there are only two (surviving) female ginkgos on campus. This one is by the Owen School and the Law Library.